Hello critters fans. 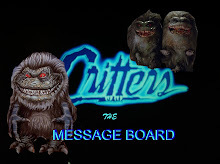 I have created this blog as the blog of the critters movies. Join the critters club and comment on this blog.